This is the typical way a fire and brimstone preacher will teach. Yelling and screaming is the only way to go preach, right? Wrong, these are all tactics of the enemy. They were true at one time (before the cross), but today these lies are completely false. It is the goodness of God that leads people to repentance. Before we start please realize, I cannot speak for the unbelievers; this article is about believers because many people still have not received the free gift of God’s favor. As I shared in my article, The True Fear of the Lord, God does not want us to live in fear. He wants us to be comfortable around our loving father knowing the price has been paid in full. What Does The Bible Say? It is time we separated the truth from the lie, and ask ourselves what does the Bible says about God’s anger. 2. All of God’s anger for us was poured on Jesus. Under the old system, an animal would have to be killed in order to pay for the sins of the one who sinned, but under this new covenant the price was paid only once! I assume under the Old Covenant, people would walk away feeling better knowing their sins were punished. Yet today, 2000 years later, people still think God might punish them for their sins. My friends, there is something wrong if we feel better with the blood of an animal than the precious blood of Christ! God cannot punish you and Jesus for the same sins. For this reason, you will never be punished or under the wrath of God for eternity. 3. Isaiah 54 declares you are free from anger. Many people know of God’s promise to Noah, but few know God’s promise to them. Just as the rainbow testifies that God will never flood the earth, God will never be angry with the believer! Someone once told me that this verse in Isaiah 54:9 is not for the new covenant, but they have failed to realize that Isaiah 53:5 is just a chapter away. And, I’m quite sure these verses ran together because the chapters were added only recently. In Hebrews the apostle Paul quoted the prophecy in Jeremiah that says the following. This verse is clearly talking about the New Covenant because this is the place that we get the praise, “New Covenant.” In this covenant God declares He will remember our sins no more! For God to be angry with something evil we did, He would have to break his promise, and I am quite sure He won’t. If God was to bring punishment, anger, or wrath against us for our sin he would have to remember our sins, so since God will not remember out sins no more, we can live in peace knowing the love of God! For this one I would like us to look at the beginning of chapter 5 of Destined to Reign by Joseph Prince. Soon after the tragedy of September 11 had taken place, some believers publically declared that God was judging America because of its sins. When I heard that, I could just imagine Osama bin Laden in a cave thinking that “god” was indeed using him to judge America. Come one, when Christians attribute such events to God’s judgment, terrorist would be the first to say, “Amen! Preach!” Can you see that something is amiss when both believers and terrorists agree on the same thing? Change your mind about God; instead of seeing thunder and lightning whenever you think about the wrath of God, see fireworks! It is celebration time because it is finished. 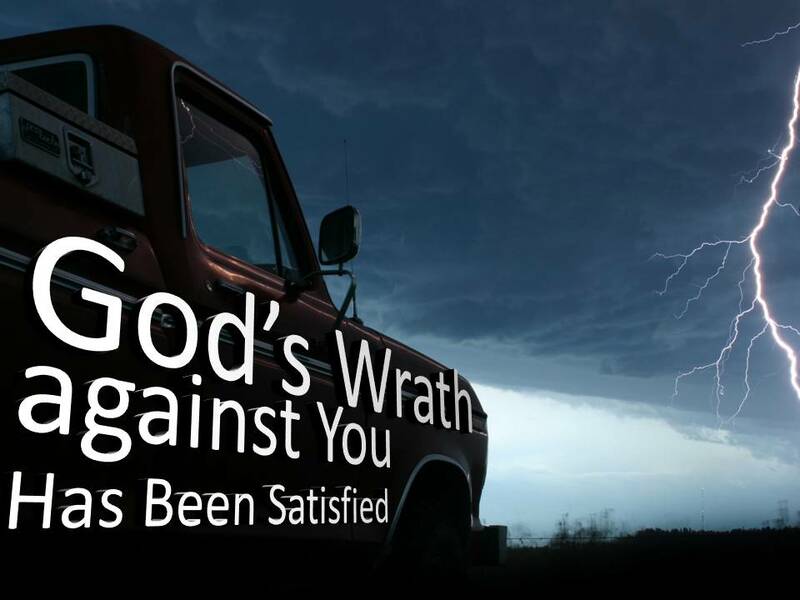 God will never be angry with you ever again. Won’t This Lead To Sin? You always have someone saying, “Well you know if you preach like this, people will just go crazy and sin.” Now I don’t know what Bible you read, but my bible says it is the goodness of God that leads us to repentance (Romans 2:4)! If we preach that God is good to us and doesn’t strike us down when we sin, praise God, people will repent (change their mind) about their life. Now that’s Biblical. I don’t need to bash people over the head saying, “repent! Repent!” No, when I preach how good God is, people AUTOMATICALLY turn from sin! Live your life knowing that God will never be mad at you again, never.